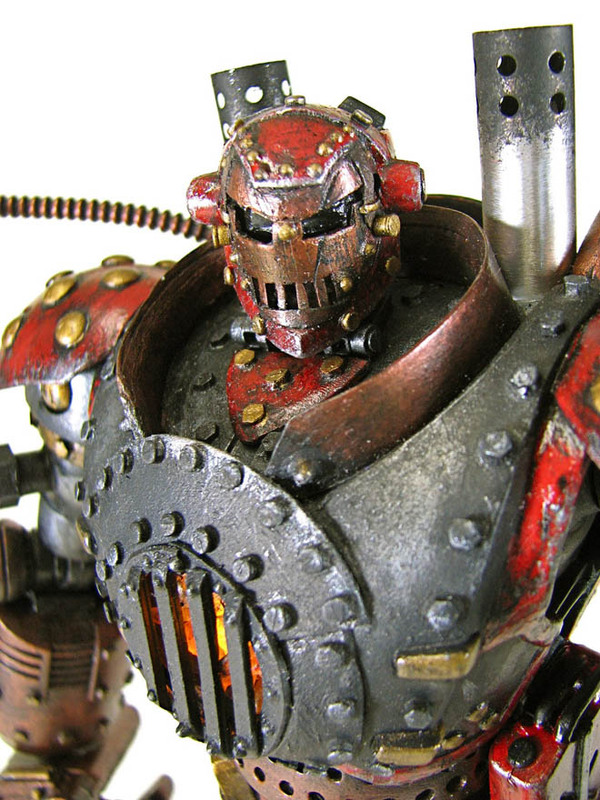 You can keep your exotic metals and arc reactors, all a real hero needs is steam. Iron Man, clad from head to toe in a heavily armed, lightweight, flying, battle suit, is one of the most technologically advanced superheroes around. 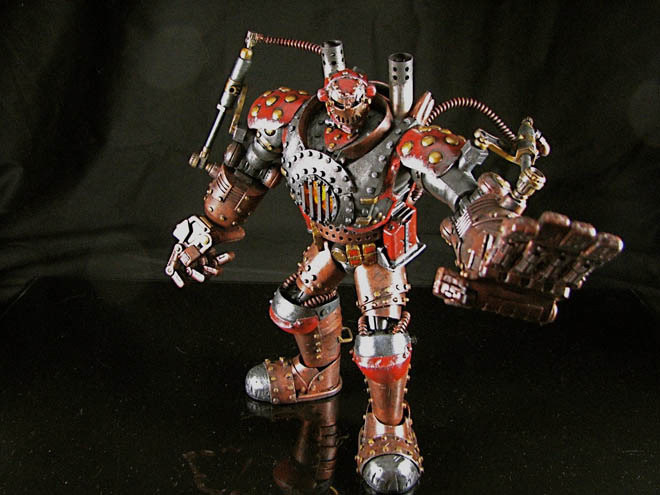 But technology has come a long way in the last hundred years, and sculptor and toy maker Jonathan Kriscak has decided to explore what Tony Stark - Iron Man's alter-ego - might have created if his resources had been decidedly low-tech. 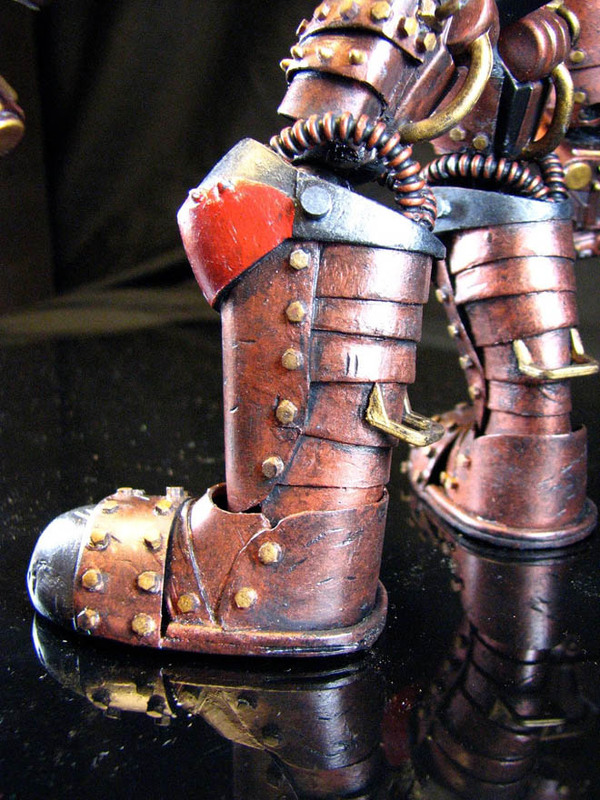 "I love the idea of steampunk where everything is grittier and more 'rough cut,'" Kuriscak said. "I wanted to throw Iron Man into that time period so he looked as if he'd been created in 1910." 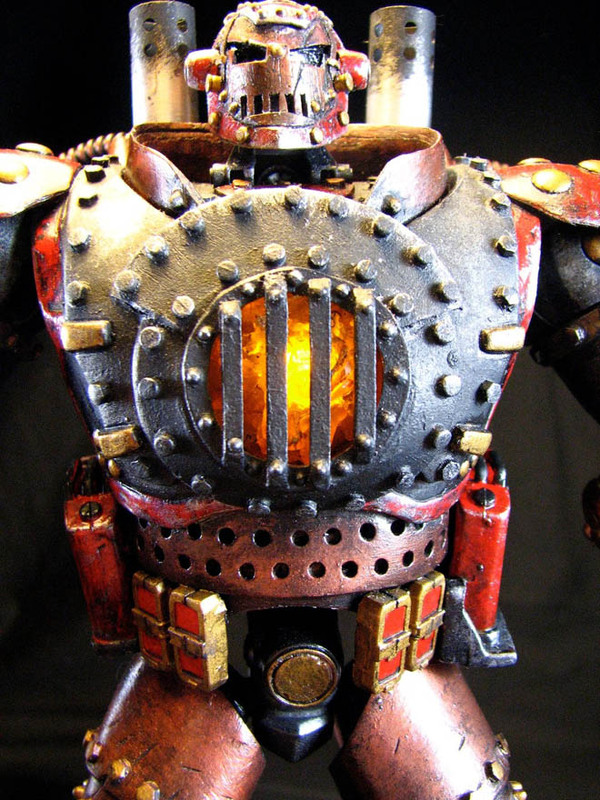 Kuriscak took refined suit seen in the comics and movies, and fused it with a steam locomotive. The result is a colossus made of "copper, steel, and brass," held together with rivets and powered by a raging fire at its core. 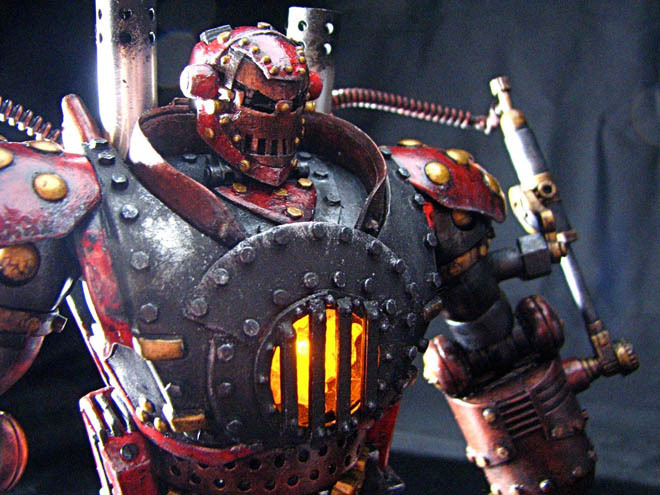 The model stands 11 inches high, and is made up of parts taken from three different action figures, including an NFL Cletus figure and a Transformers toy, as well as custom pieces made from sheet plastic. 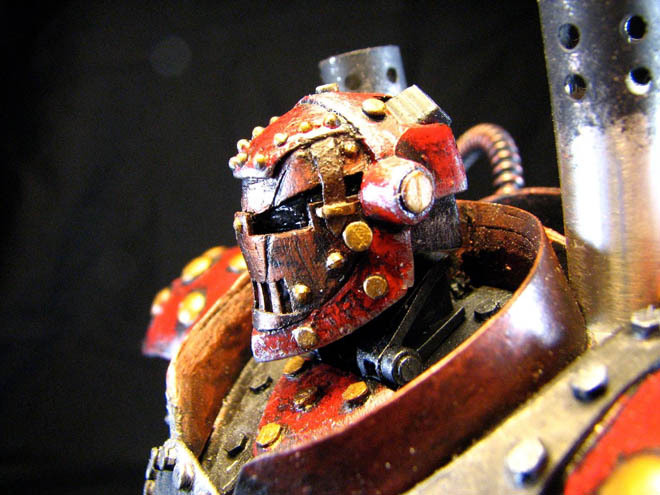 Kuriscak meticulously painted the mechanized giant, and sealed it to prevent the paint from damage. He notes however, that while the model is fully poseable, it was made with an adult collector in mind, and as such, won't stand up to rough handling. Kuriscak is selling the model, which also includes a much smaller Tony Stark action figure. There are a couple of days left on the auction, which at time of writing had 25 bids, and had reached just over $175. You can also see more pictures, and delve more deeply into how it was made, on Kuriscak's blog.